The ranking Democrat on the Senate Veterans' Affairs committee is reviewing allegations he's hearing about Ronny Jackson, the White House physician and President Trump's pick to lead the Department of Veterans Affairs. It was unclear late Monday whether the Senate panel would postpone Jackson's confirmation hearing, which was scheduled for Wednesday, in light of stories about the nominee told by current or former White House medical staff. Tester's office began hearing the allegations from current and former employees in the last several days and over the weekend, said one of the people familiar with the ongoing probe. As of late Monday, it was unclear if the veterans committee planned to postpone Jackson's hearing. Some -- though not all -- of the seven Democratic senators on the Veterans' Affairs Committee met Monday evening to discuss what to do about the allegations. Isakson was out of town, delivering the eulogy at the funeral of his best friend. He is expected to return to Washington late Monday evening. Jackson was tapped to be VA secretary after President Trump fired former secretary David Shulkin. 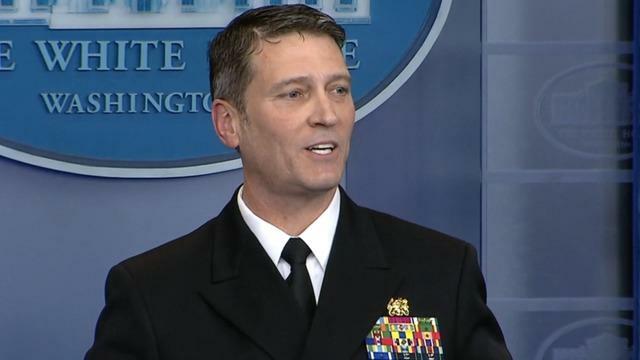 The Iraq War veteran is best known for his January press conference in which he gave Mr. Trump a clean bill of health. CBS News' John Nolen and Alan He contributed to this report.